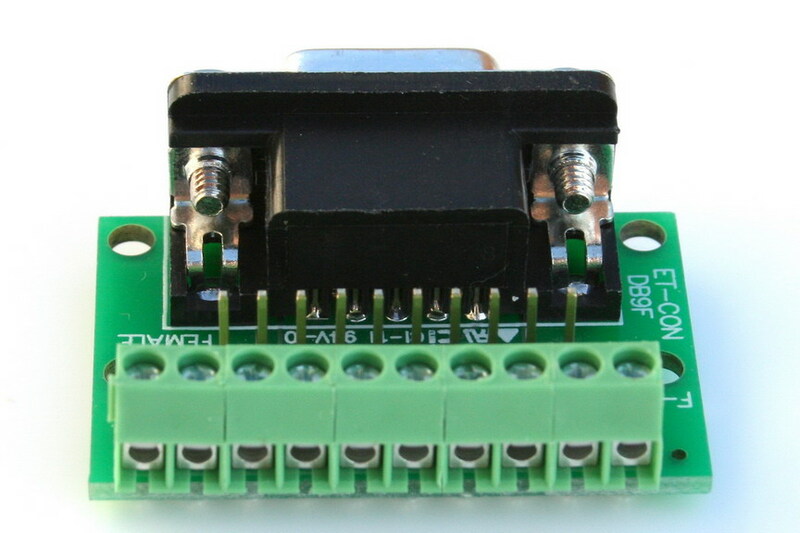 This breakout board bring all 9 pins of a DB9 connector plus a chassis pin out to screw terminal blocks for easy connection and prototyping work. 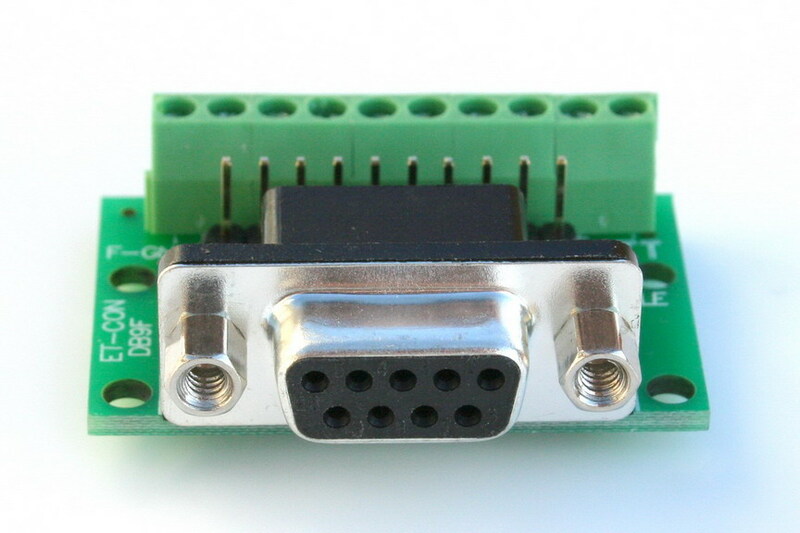 The connections are also available via male header pins. 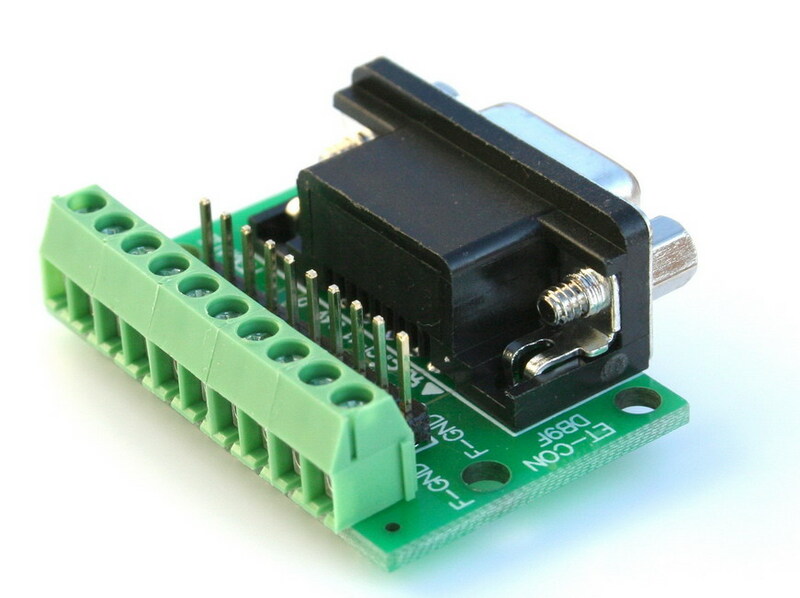 Pefectly use with these female to male jumper wires for breadboard connections. 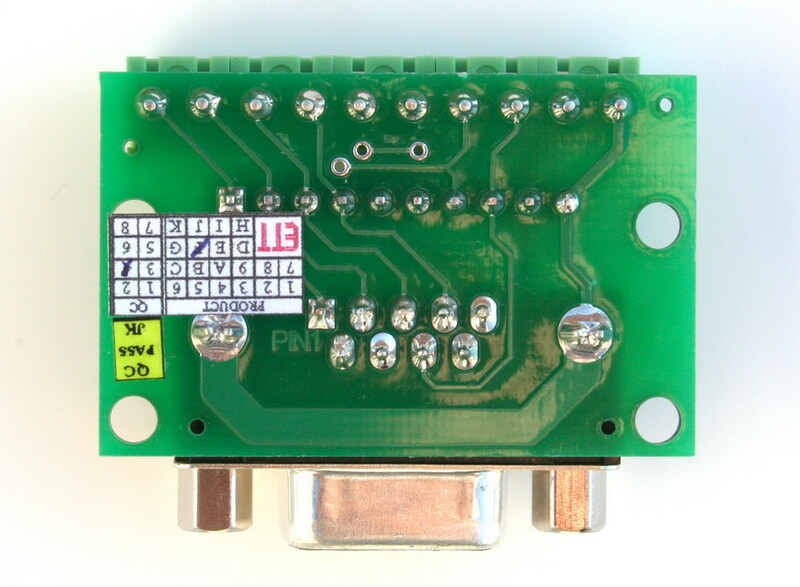 This breakout board is perfect for field wiring tasks and may be mounted to wall box plate or thin panel that has a DB9 cutout. 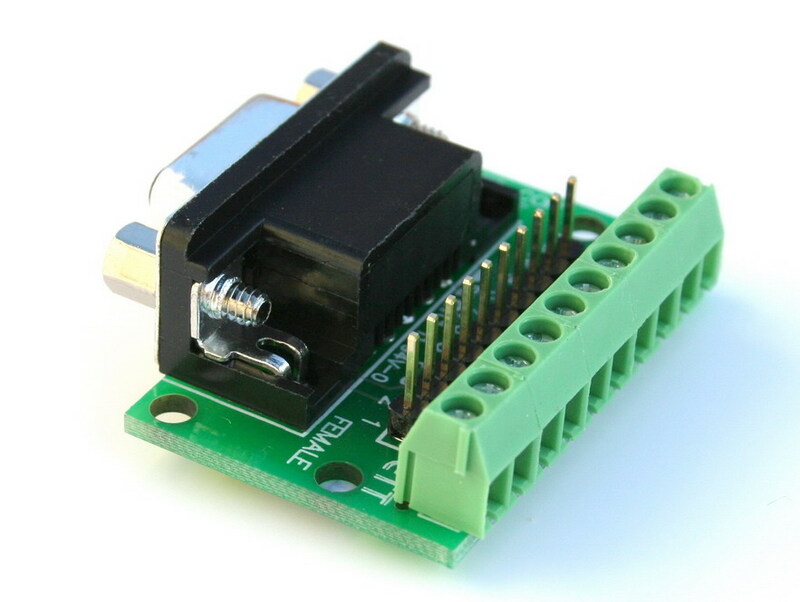 The male connector version is also available here.